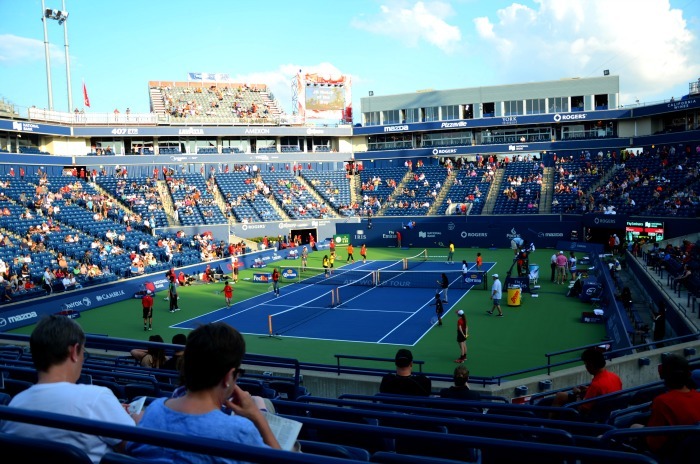 Discovering my city – tennis anyone? 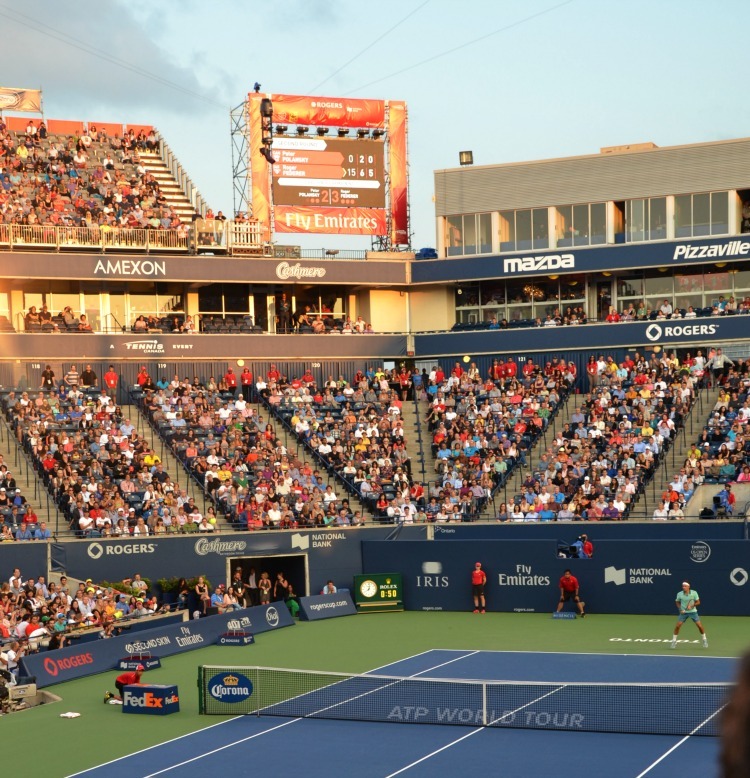 For those people who aren’t travellers or can’t take holidays out of town, attending an event like the Rogers Cup is the perfect answer. Its local, and even from downtown, I could take the subway to end of the line, where there was a free shuttle to drop me at the door of the Rexall Centre. 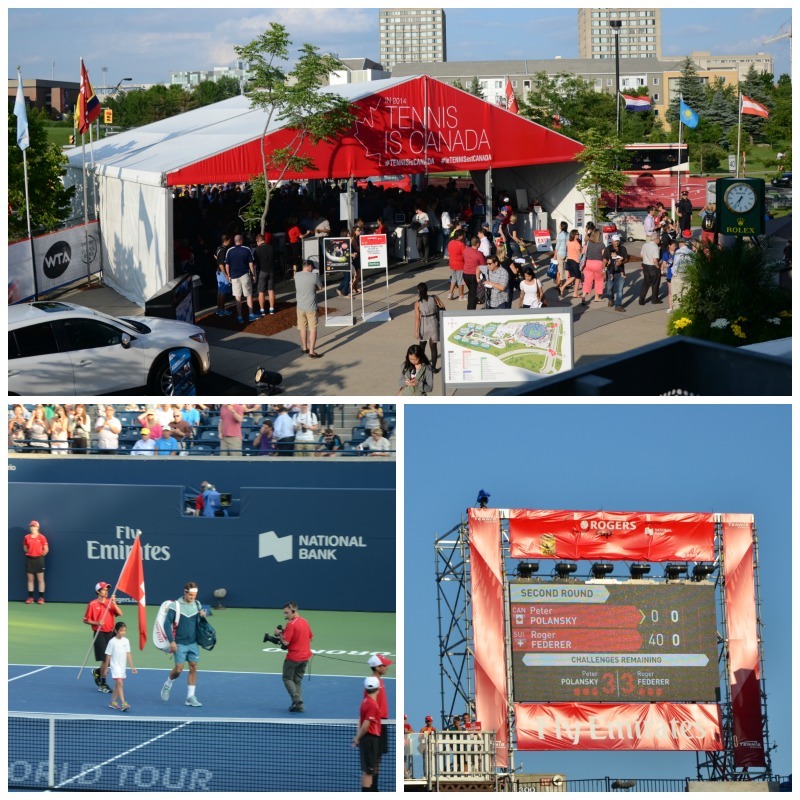 Go to one game but don’t think that’s it – there’s a whole lot of things to do, like watching players on the practice courts, taking a peek at the other games that aren’t featured on centre court and plenty of distractions, giveaways and tennis paraphernalia everywhere. I could people-watch, learn about the game and on a sunny evening, a perfect way to spend some time in the late day sun. It reminded me that trying something new in your city is just as fun as jetting away – its new to you and isn’t that what counts? 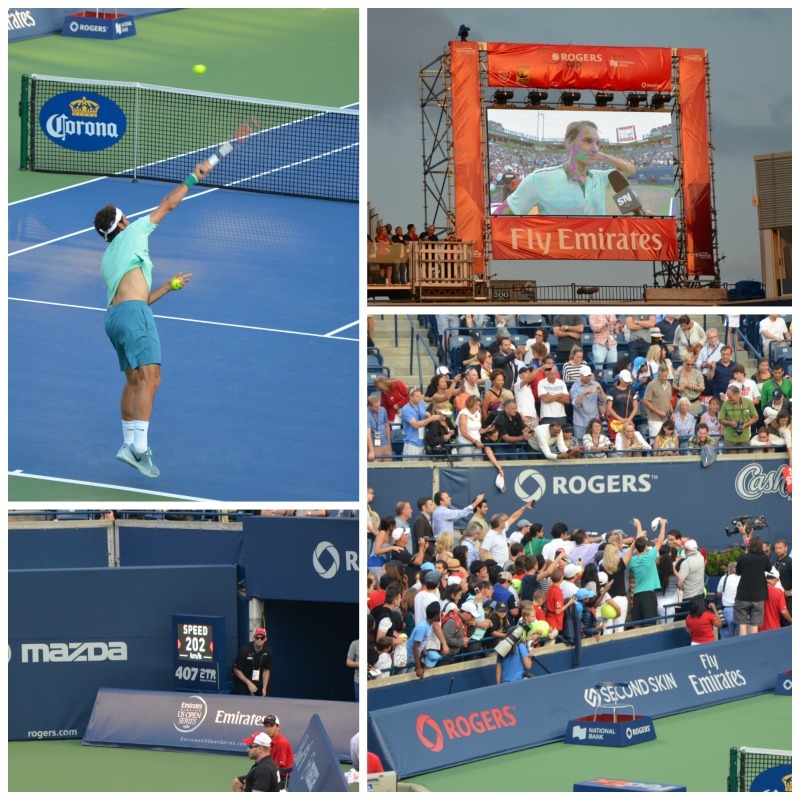 And bonus for me last night – seeing Federer in action. Yes, I agree! This is a fabulous way to enjoy one’s city and it feels like you’re on vacation! Milos won last night! I hope he takes it all the way!